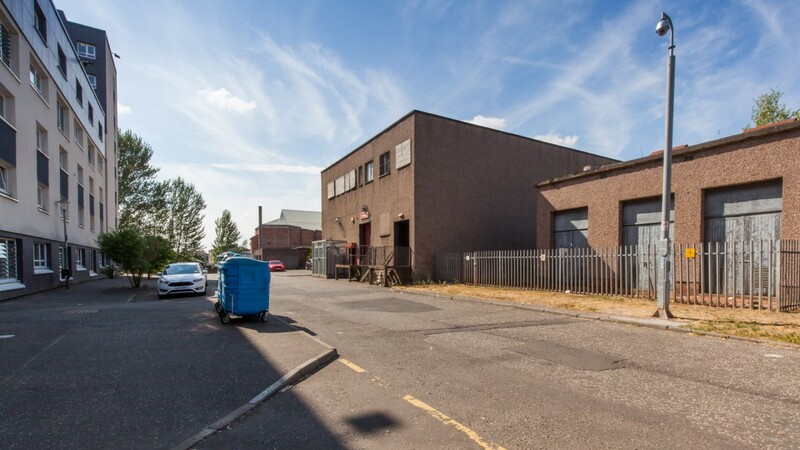 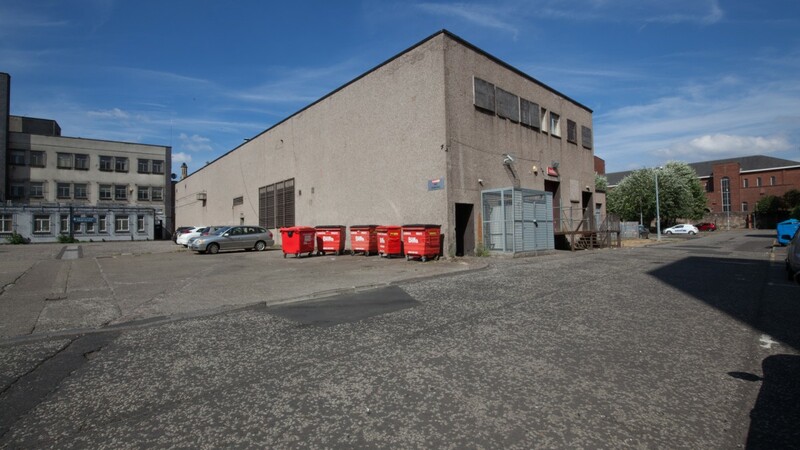 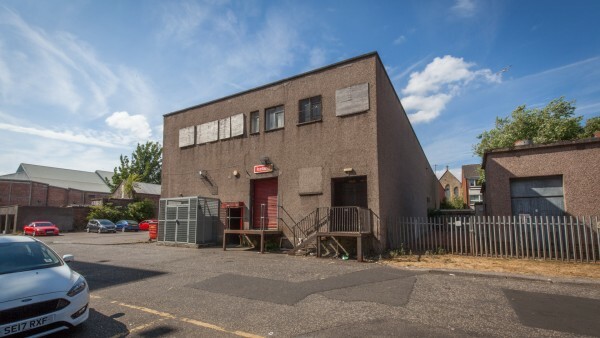 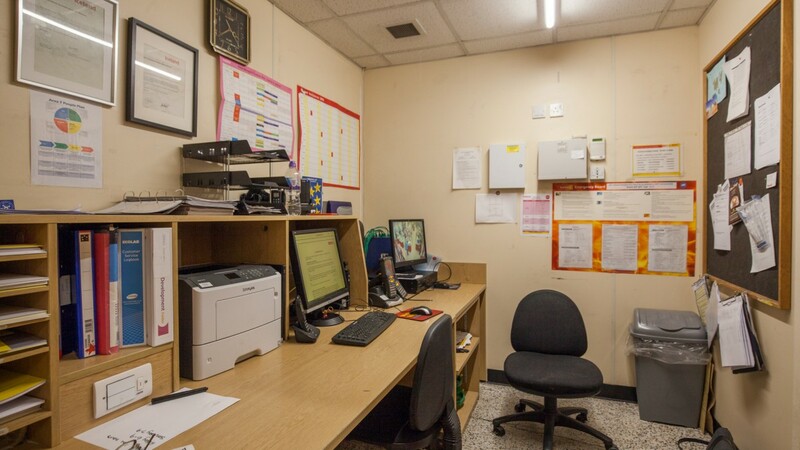 The property is located in Rutherglen some 9 km (5 miles) south-east of Glasgow city centre, within South Lanarkshire. 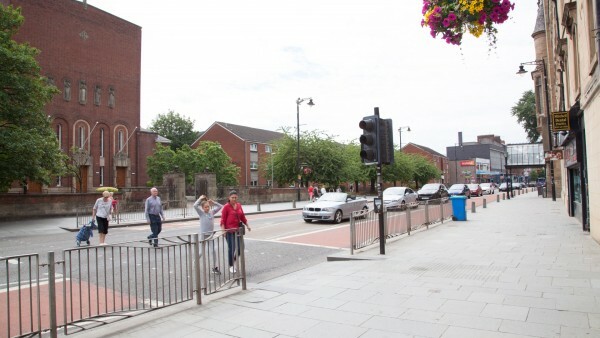 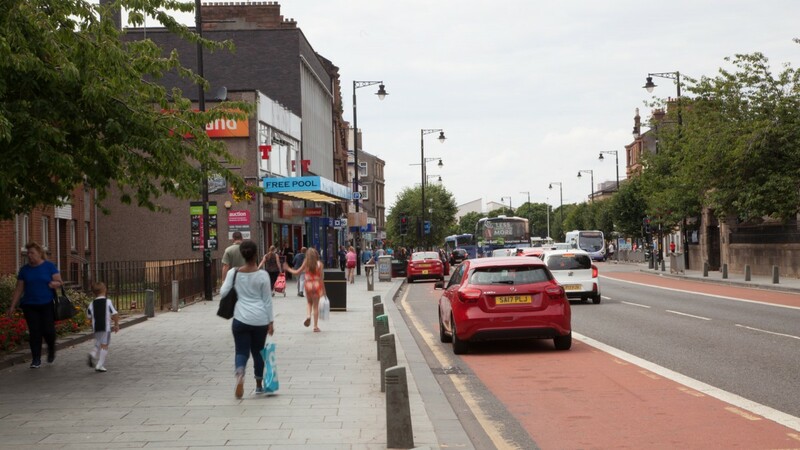 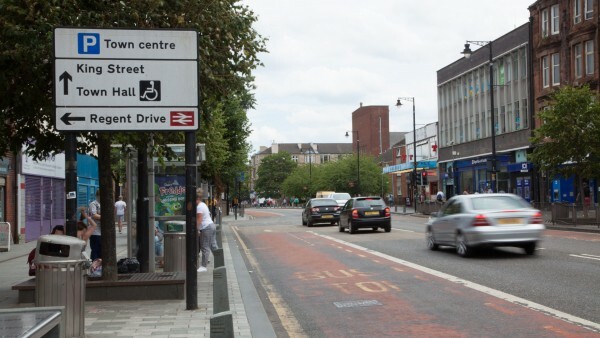 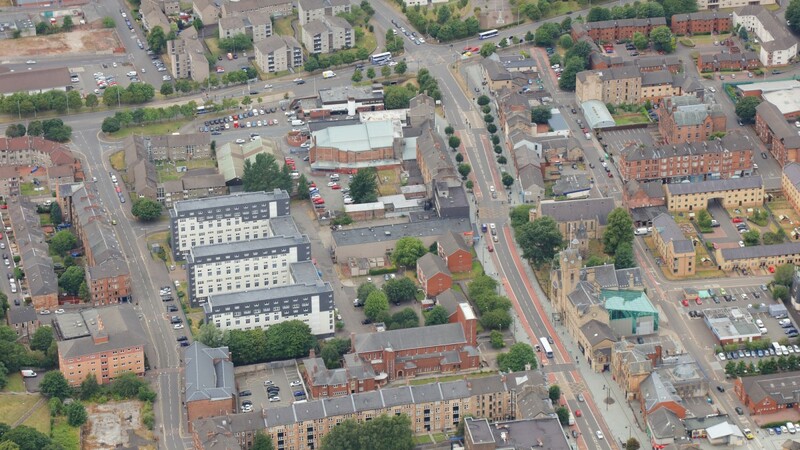 Rutherglen has a resident population of approximately 35,000 and is well-served by public transport to and from Glasgow City Centre by Rutherglen Rail Station and numerous bus links into Glasgow City Centre. 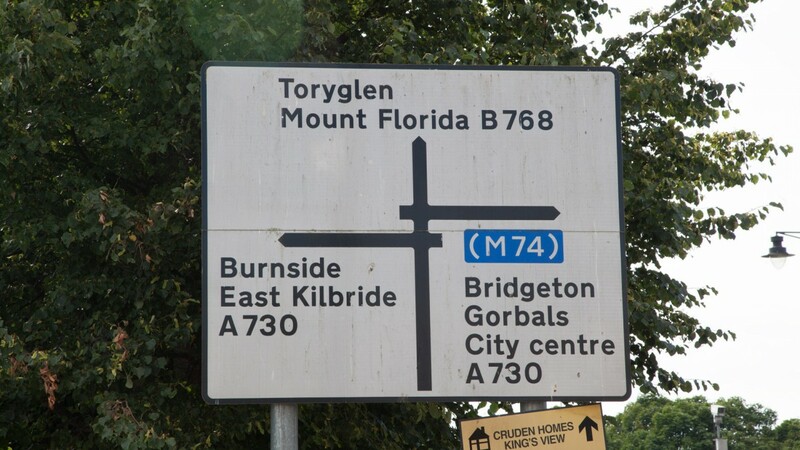 Completion of the M74 Extension allows easier access to the M8/M74 motorway network, with Junction 2 of the M74 being approximately 5 minutes’ drive from the town centre. The subjects occupy a prominent location on the west side of Main Street, which is the principal street running through the town centre. 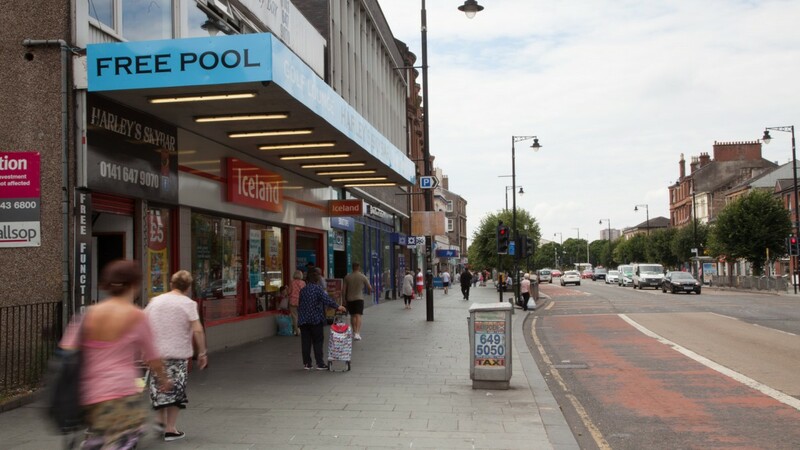 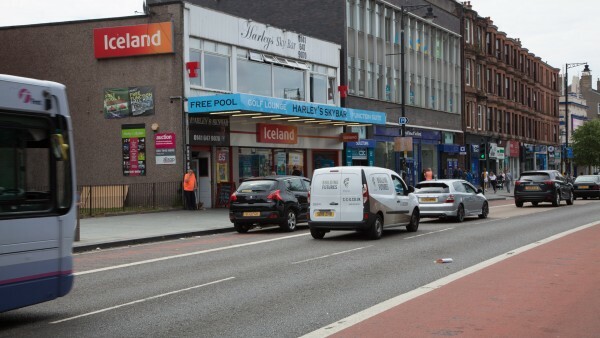 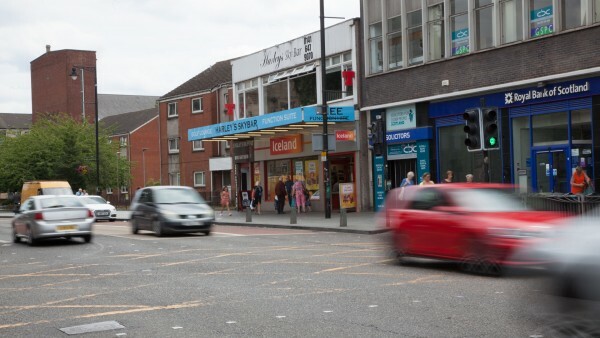 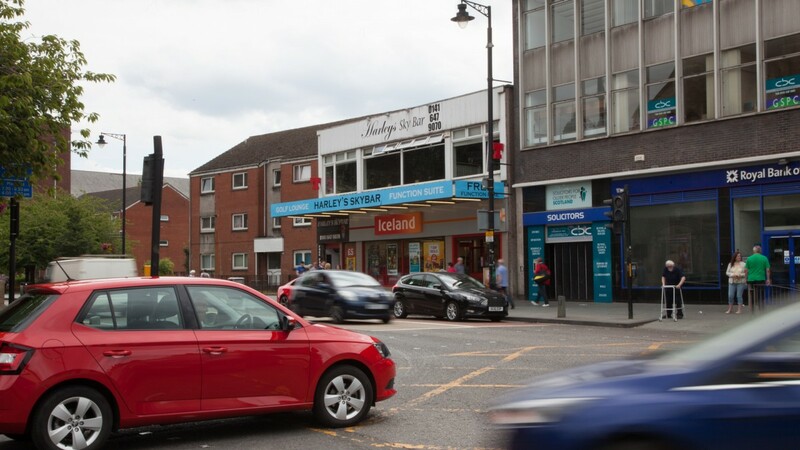 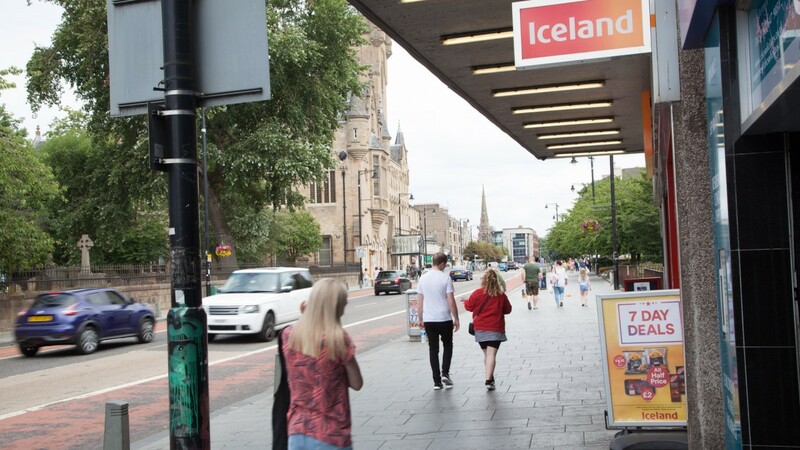 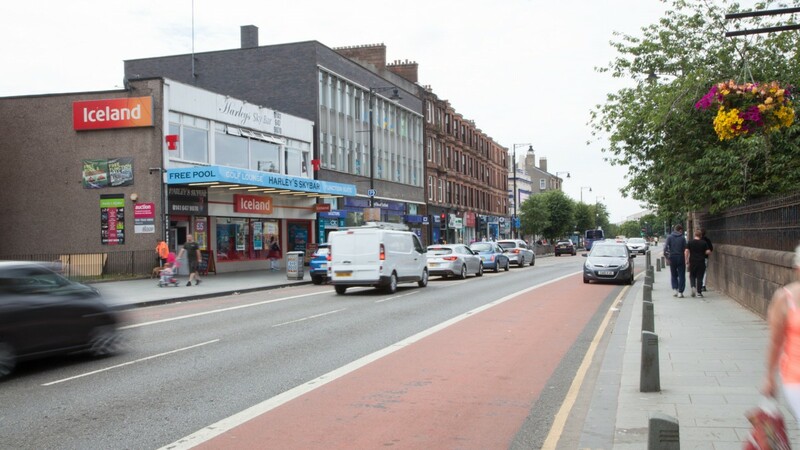 Retailing is located on both sides of the street and the Rutherglen Exchange Shopping Centre is located approximately 2 minutes’ walk from the subjects. 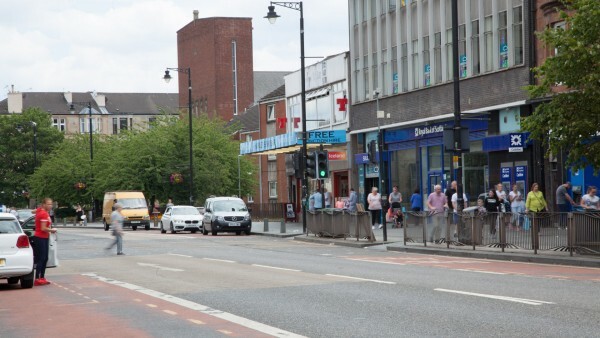 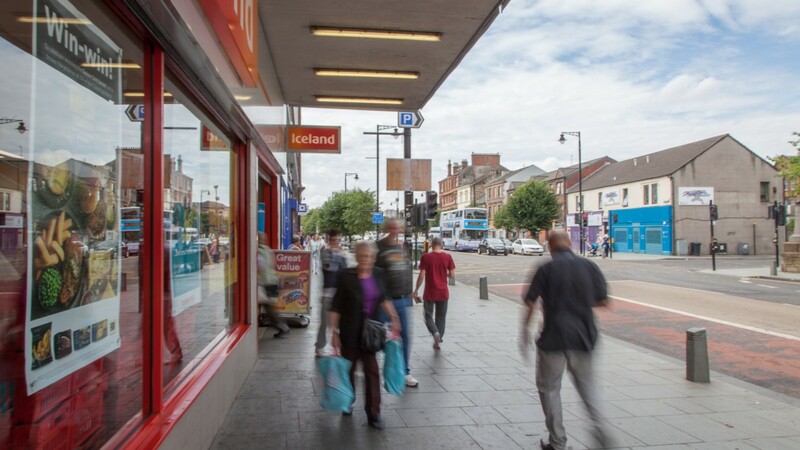 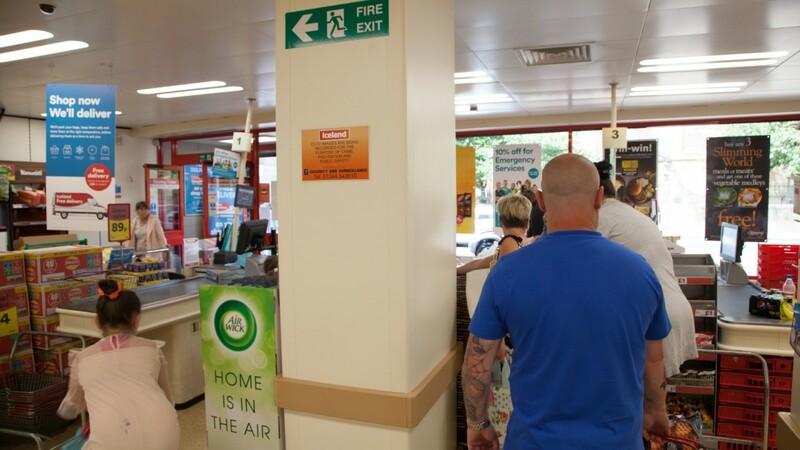 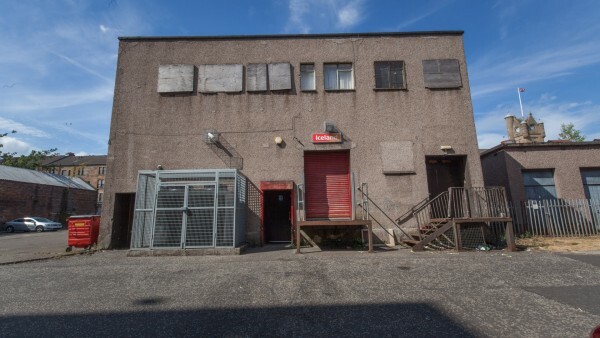 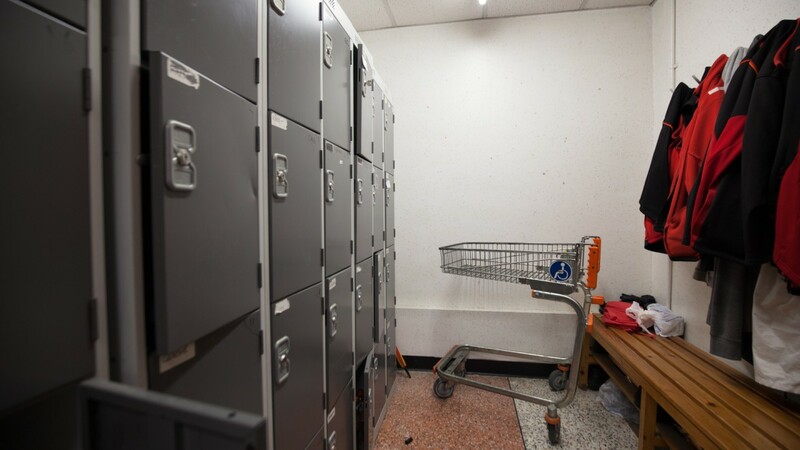 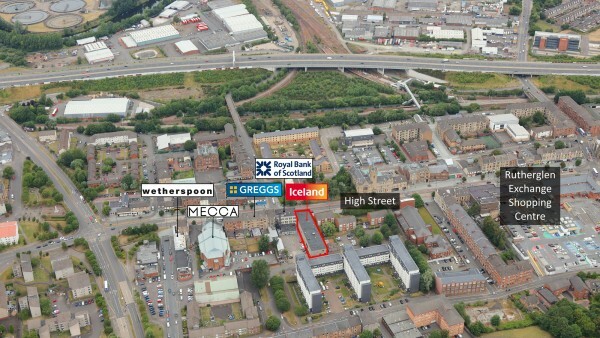 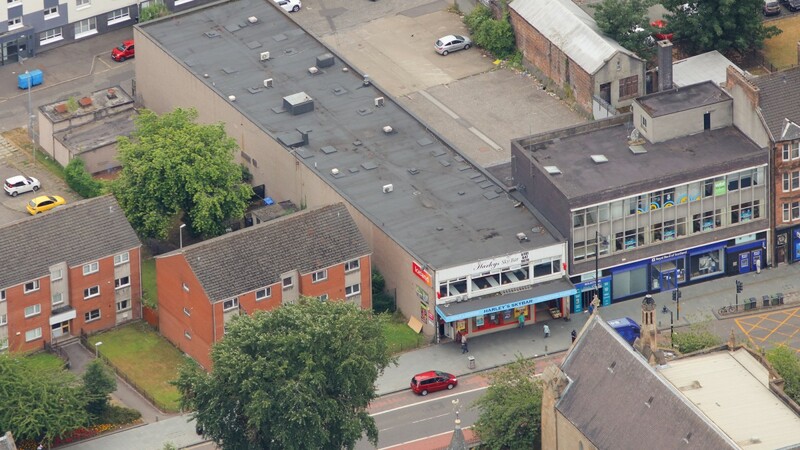 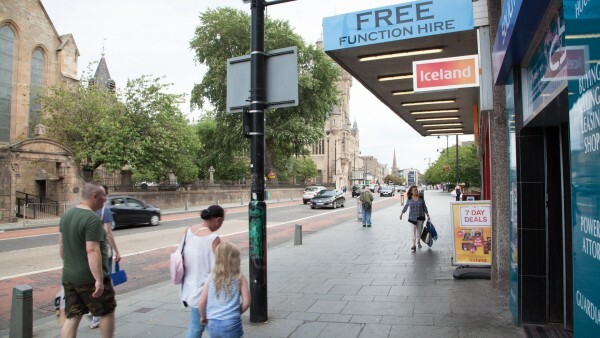 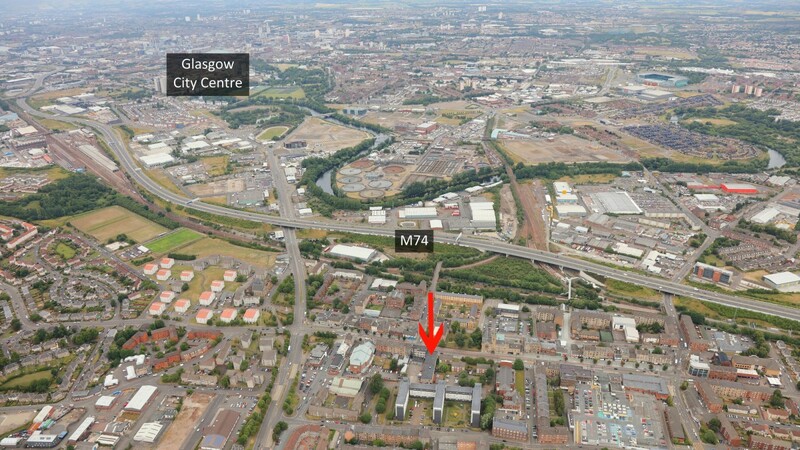 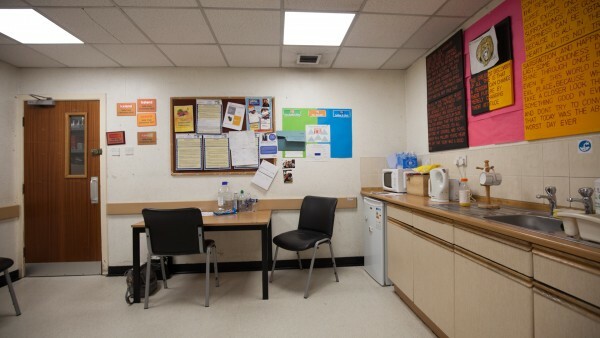 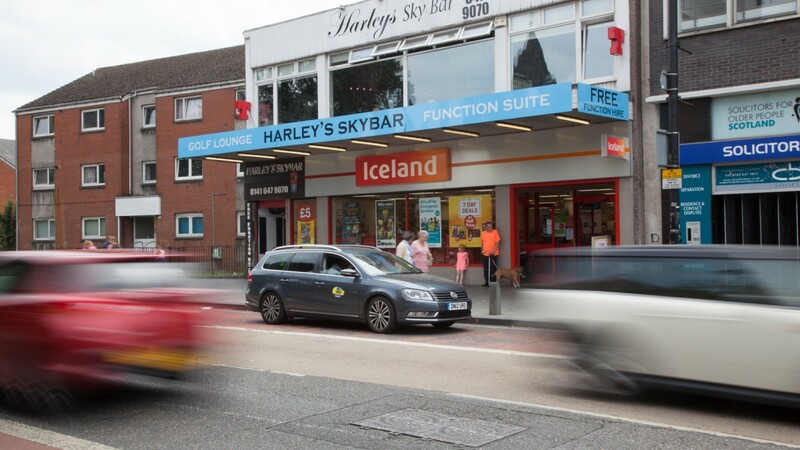 There is also a high volume of private and local authority housing within the immediate vicinity and nearby occupiers include Royal Bank of Scotland, Greggs, Bank of Scotland and various multiple retailers in the Centre including Home Bargains, Peacocks and Superdrug. 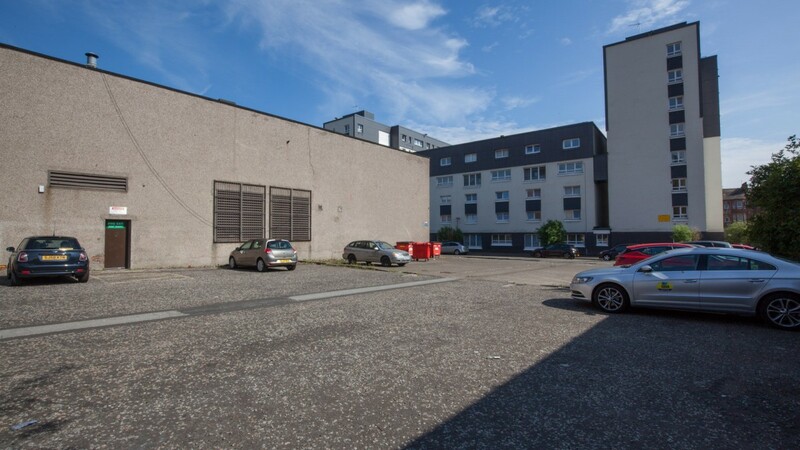 The interest for sale comprises the ground floor of a large end-terraced unit built over two floors, with full site coverage. 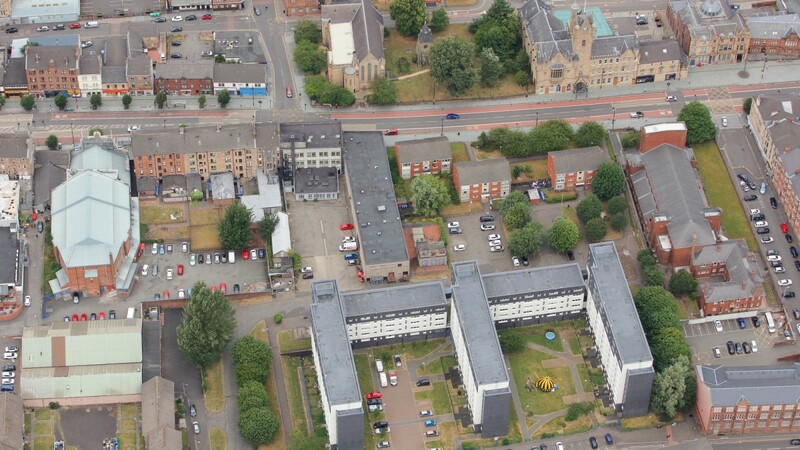 The building is of concrete framed construction with flat roof and the unit is serviced from the rear via Greenhill Court. 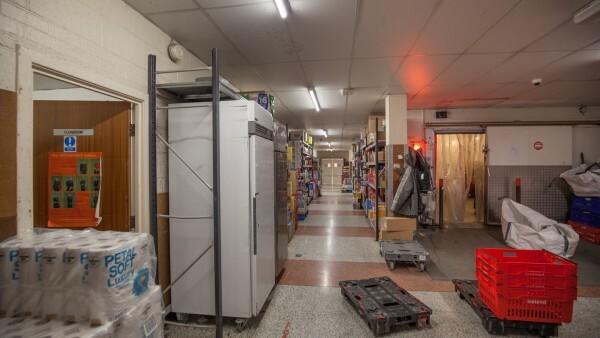 Internally the premises are a regular rectangular shape comprising open plan retail areas with rear storage and ancillary staff accommodation. 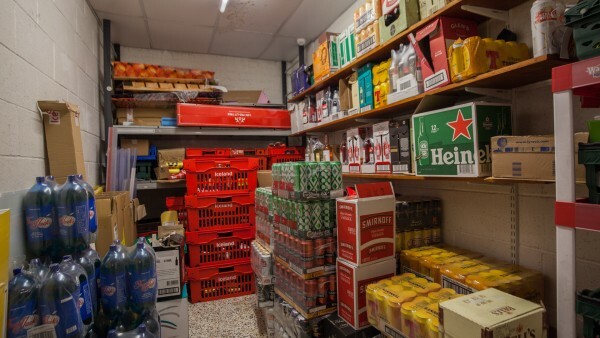 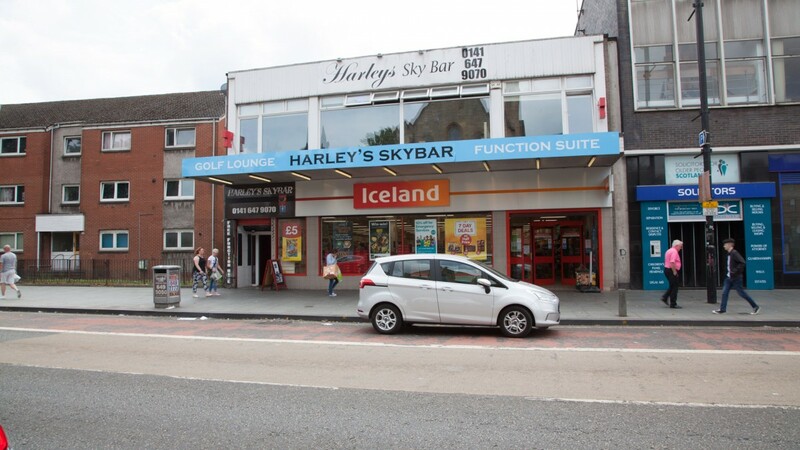 The upper floor, which does not form part of the sale, is currently trading as a licensed snooker hall/bar and is accessed via a separate entrance on Main Street. We are advised that the property has a net internal floor area of 763.50 sq m (8,219 sq ft). The tenant, Iceland Foods Limited, originally took an assignation of the existing lease in July 1995. 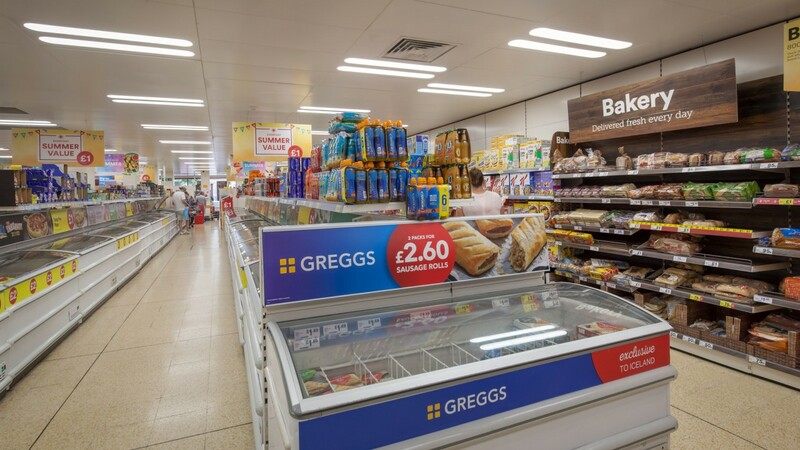 They have subsequently agreed various lease extensions, with the most recent agreement extending the existing lease from December 2020 until 23rd June 2026 with no breaks. As part of the extension agreement the rent has been agreed at £80,000 per annum (£9.73/sq ft) with a fixed uplift at 29th September 2021 to £86,000 per annum. 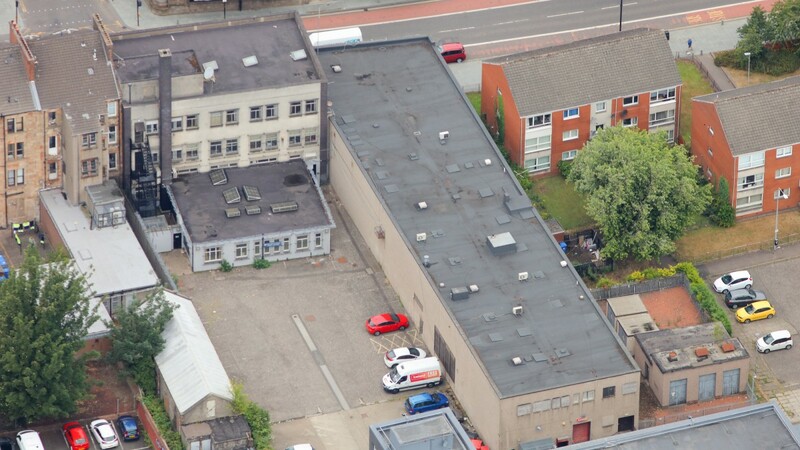 The lease is on Full Repairing and Insuring terms. 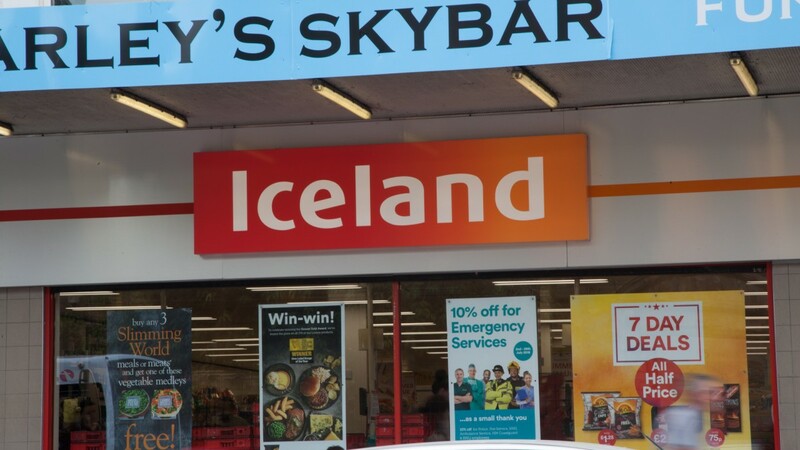 Iceland Foods Ltd (trading as Iceland) is a British supermarket chain established in 1970. 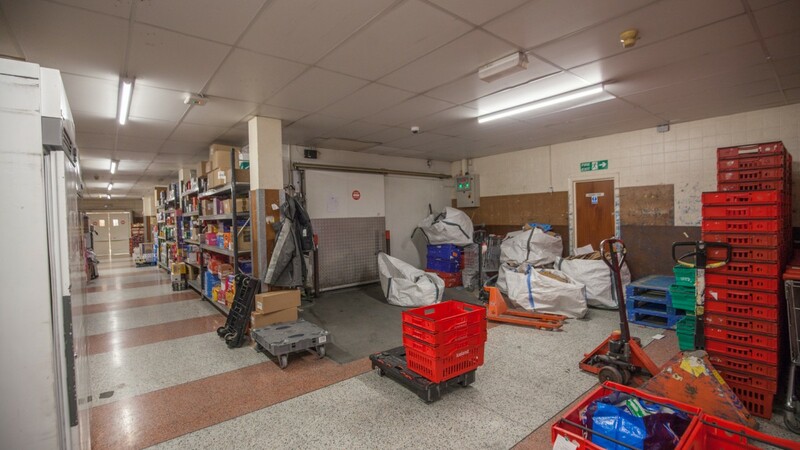 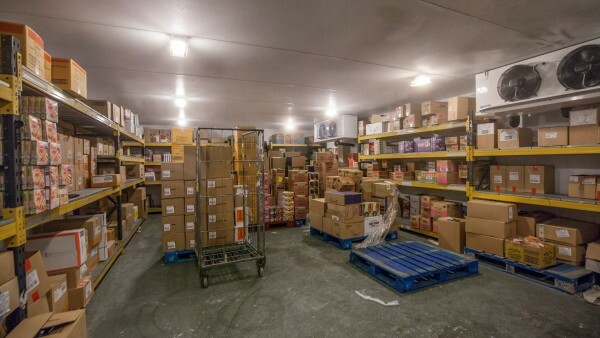 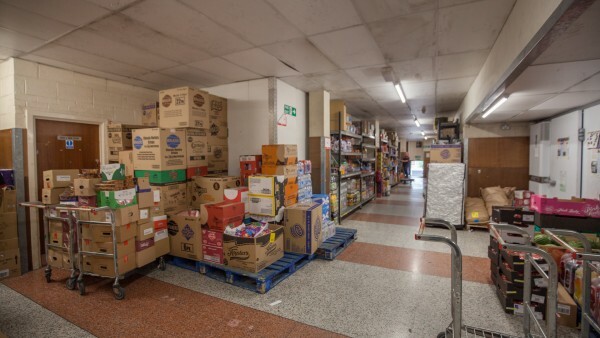 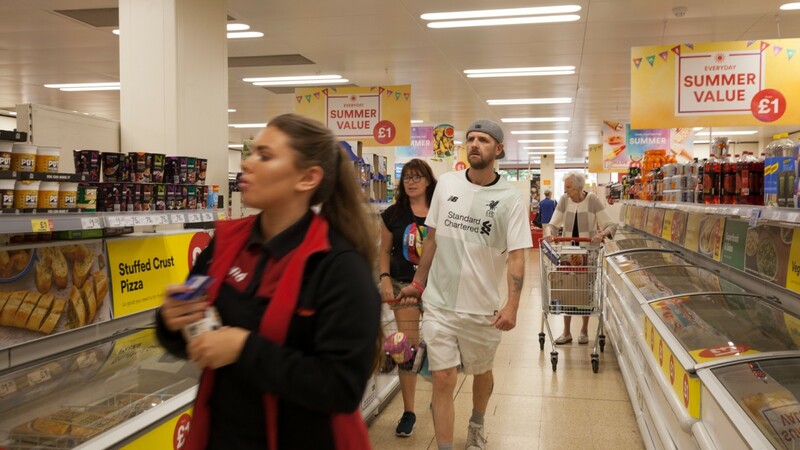 The UK’s leading frozen food retailer employs over 25,000 people in 900 stores throughout the UK, with a further 40 owned or franchised stores across Europe. 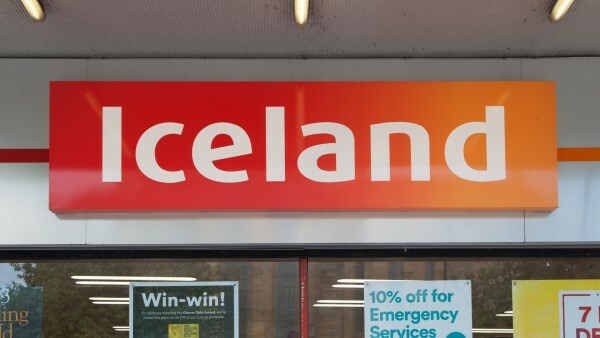 Iceland Foods Limited announced good growth across all its business segments in its latest results with sales and profits up against the previous year. 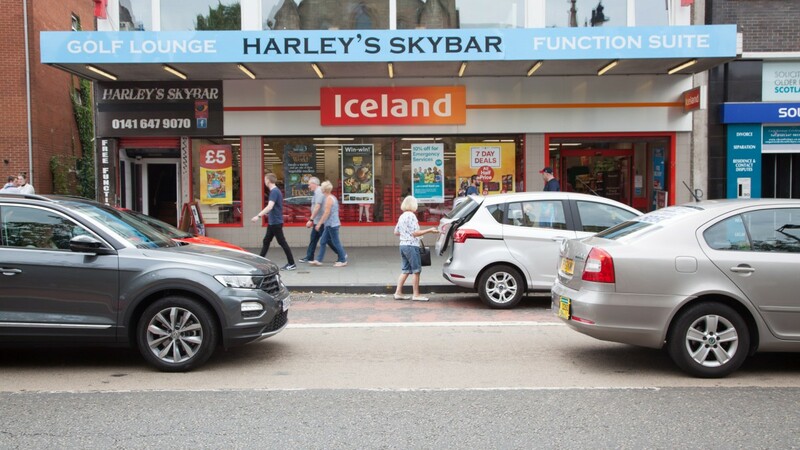 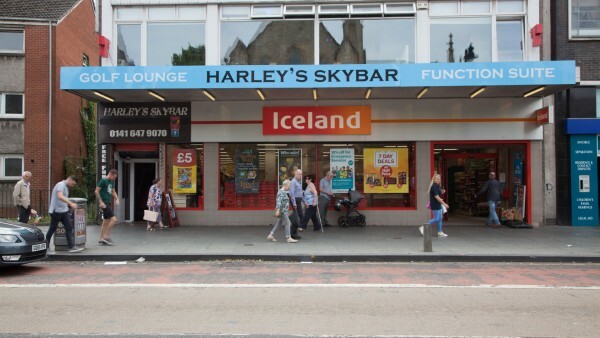 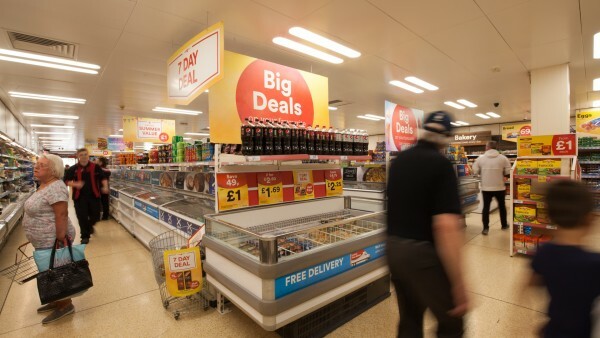 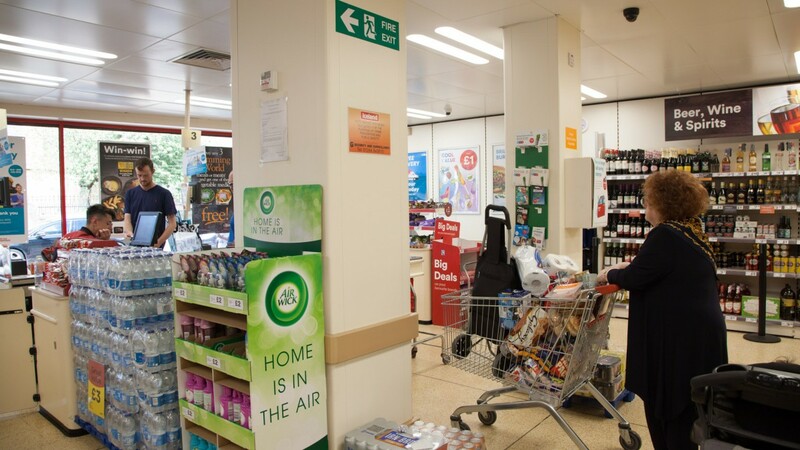 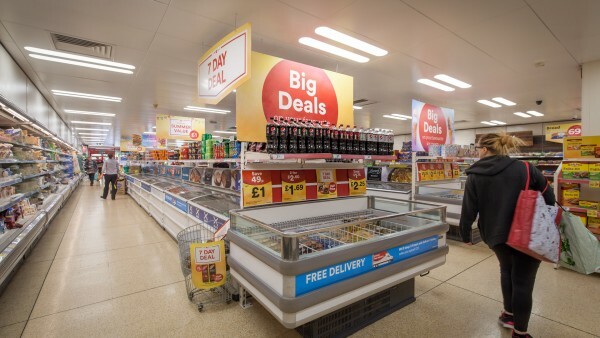 Iceland continues to open new stores as well as investing in a large store refit programme. 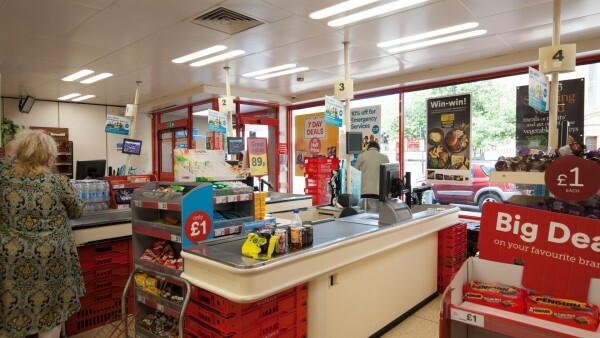 The business reported strong cash generation. 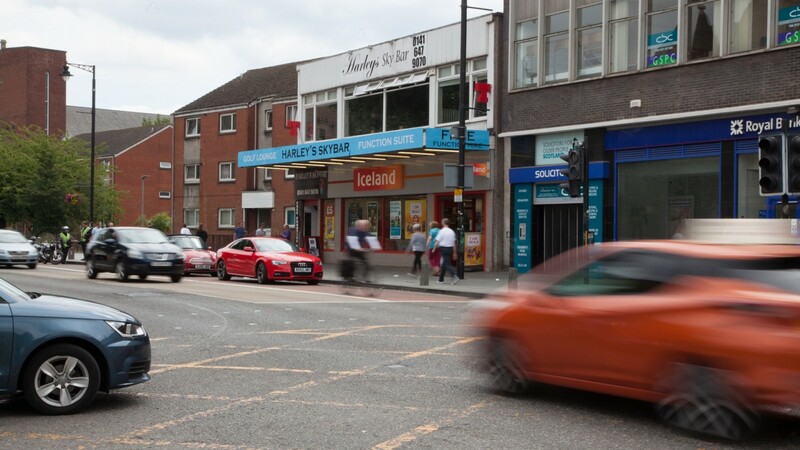 We are instructed to seek offers in excess of £850,000 (Eight Hundred and Fifty Thousand Pounds), subject to contract, which reflects a net initial yield of 8.95%, rising to a guaranteed 9.62% in September 2021, after allowing for standard purchasers costs of 5.15%. 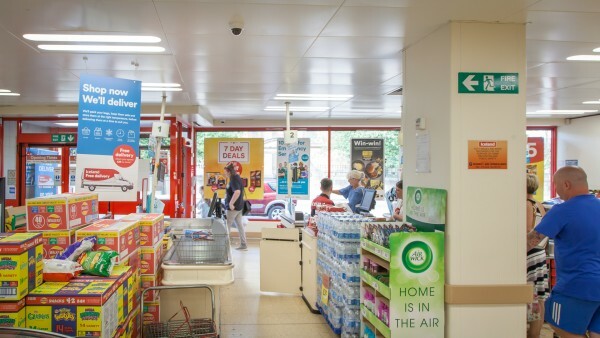 Attractive net initial yield of 8.95%.